Aerospace designers and reliability engineers attending the Paris Air Show will see the full range of innovative aerospace materials and solutions from DuPont that can help improve performance and reliability, reduce weight and fuel consumption and support sustainability of aerospace systems. Under the slogan “Together, we can fly farther, faster, longer and safer”, the company showcases DuPont™ Kalrez® and Vespel® high-performance parts, DuPont™ Teflon® and Tefzel® fluoroplastics, DuPont™ Tedlar® PVF films , DuPont™ Nomex®, DuPont™ Kevlar® honeycomb core structures and fibers and DuPont™ Krytox® high performance lubricants. From aircraft to the Mars Rover, from support equipment to operations, DuPont provides a wide range of products and solutions such as lighter weight materials and safer ways to operate to meet the unique needs of the industry. At the Paris Airshow, DuPont will be showcasing a selection of its key products and latest solutions that can help the aerospace industry meet the need for reduced weight and increased engine efficiency. 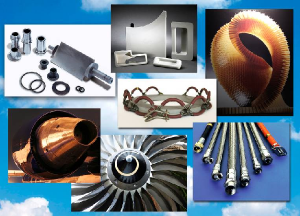 DuPont™ Kalrez® and DuPont™ Vespel® high performance parts provide innovative solutions to complex aerospace sealing, wear or friction challenges at high temperatures. Kalrez® perfluoroelastomer parts are used as oil seals in turbine and jet engines and air delivery systems. Vespel® parts offer very high temperature capability, wear resistance and low friction. 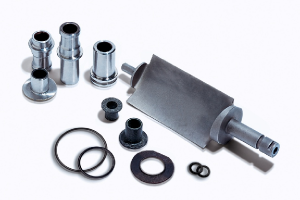 Parts replace metallic materials saving weight, improving fuel efficiency and contributing to operational cost reduction. Two new products will be introduced for sealing and wear at the Paris Air Show. DuPont™ Tedlar® polyvinyl fluoride films give airlines maximum design flexibility in creating passenger areas that are attractive, easy to clean, and scuff-resistant. They are lightweight, conformable, and can be embossed and printed. Best of all, Tedlar® films can take whatever passengers dish out and stay looking new for years. Tedlar® films have been qualified and used extensively in thermal/acoustic insulation blankets, they are used as fire barriers laminated to metals, labels for wiring, wire harnesses, and composite part labels where it is no longer acceptable to mechanically fasten metal plate labels to parts. And, while most commonly used in bondable applications, Tedlar® films are excellent release films used in the manufacture of advanced composite structures. Recently expanded capacity for Tedlar® continues to enable existing and new applications benefitting the aircraft industry. DuPont fluoroplastics play a key role in space programs development of new defense systems and in commercial jet aircraft and engines. They offer strength and durability, lightweight, resistance to harsh environments, and ease of use in manufacturing and flame resistance. DuPont™ Krytox® high performance lubricants provide as oils and greases lubrication in technical applications such as cockpit instrumentation and landing gears. In the passenger cabin they eliminate disturbing noises . They are non-toxic, odor free, long-lasting and fully compatible with elastomers, polymers, paints and finishes. Offered in different packages and sizes Krytox® lubricants meet the specific application and performance requirements of the aviation industry. NSF H-1 food-contact approved versions are available. DuPont™ Nomex® and Kevlar® honeycomb composites and DuPont™ Kevlar® and Nomex® fibers have been successfully used by the aerospace industry for more than 30 years. Honeycomb composites made of Nomex® and Kevlar® can be found in aircraft parts such as flooring panels, interior walls, storage bins, leading and trailing edges on wings, the rudder, the belly fairing, engine nacelles and many more parts. Their excellent strength-to-weight ratio has provided vital cost-effective benefits such as energy savings, payload increases and has proven to be the most efficient weight-saving solution for the aerospace industry. For additional information about DuPont and its commitment to inclusive innovation, please visit www.dupont.com.